So you’ve decided to build an app. Excellent choice. Now, though, the next important decision has to be made: do you develop on iOS or Android? Side note: Windows Phone just doesn't have the marketshare yet to be considered as a primary app platform, but that third choice will have to be thrown in the mix in the coming years. 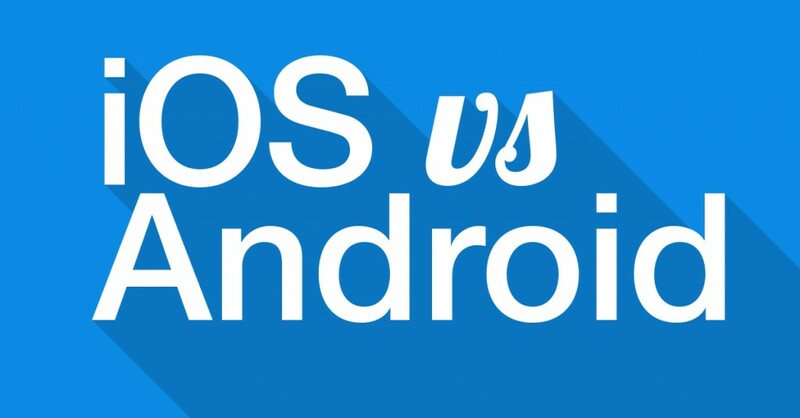 Much like choosing sides with McDonald’s or Burger King, Coke or Pepsi, and boxers or briefs, the debate between Android and iOS has raged on and on without a definitive winner. Before you decide on a platform, it’s pivotal to identify who you want to reach and which platform they’ve chosen to use. Android has the most users overall. In terms of handset sales, Android has an 85% market share (compared to 11.9% for iOS) on the strength of its compatibility with multiple devices. iOS is only available on Apple products. So, for a general and wider audience, Android might be the better option. However, keep in mind that Android-compatible devices can vary greatly in available features. Everything iOS can offer in development, Apple products can correspondingly perform, without incident. The general numbers don’t tell the whole story. On average, Android users tend to choose the platform based on lower price, simpler functionality, and may not value apps in the same way as their iOS counterparts. iOS users, on average, tend to want premium apps, premium devices, and skews more toward exclusivity. A huge audience is important, but what if that audience isn’t active? Recent research suggests that iOS users are seven times more active than Android users. If your goal is to produce an app that relies on in-app purchases, or heavy engagement, iOS is the better option. When releasing an app for the first time, it makes sense to go after the most engaged audience. iOS users are more likely to not only download or buy the app, but then spend time figuring it out and using it in the way you intended. Both Android and iOS require an approval process for getting an app published. Both – depending on who you’re asking – can be complicated. The simplest way to answer the question of which platform is easier to develop on, is to figure out who is doing the developing. If the development team you’re using has more experience in one or the other, that matters. Most development for mobile applications now can be done by leveraging HTML5 or a gaming tool like Unity, both make porting the application to either platform much easier. When you start getting into using more of the built-in hardware of the device itself, you may have to turn to more native code and make the decision of iOS or Android. Another thing to consider is the testing that goes into developing a mobile app. With an iOS app, you have only one operating system (iOS) and only a few phones running it (all iPhones). This means that you know the specifications of all of the devices that could possibly be running your app and makes for easier testing of your app. It is much easier to account for the testing of iOS devices than it is for Android devices considering that over 91% at the time of this survey were running the latest version of iOS while only 20% were running the latest version of Android. This fragmentation also limits you on what functionality you can build into your app that will work on all Android devices. There is a place for Android first app development and iOS first app development. Now with HTML5 becoming more mainstream the ability to develop cross-platform is also on the table. No matter what you decide, make sure to consider these angles before committing to a decision.